Comment: This passage is complicated for young children. Use it as a springboard to help children reflect on knowing how Jesus lived helps us to understand how God wants us to live. We know that Jesus and his followers cared for the outcast, oppressed, and people deemed weak by the world’s standards. Kerascoët’s wordless picture book is a lovely illustration of children caring for an outcast child. 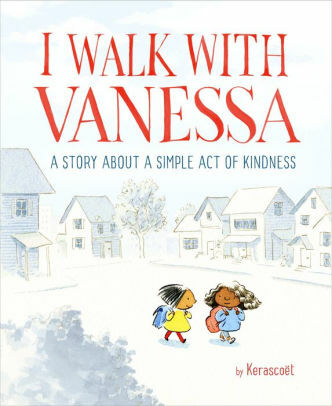 When Vanessa is bullied, a little girl stands with her, and soon crowds of other children come alongside the two to help Vanessa return to school. This text and story invite our children to wonder how they stand with others, and what it looks like for us to be guided by God’s Spirit to live as Jesus lived. Thanks to regular contributor and Union Presbyterian Seminary alumna Noell Rathbun for writing the Year 4 Narrative Lectionary Links. Lectionary Links (NL): July 8, 2018 by Storypath is licensed under a Creative Commons Attribution-NonCommercial 4.0 International License.